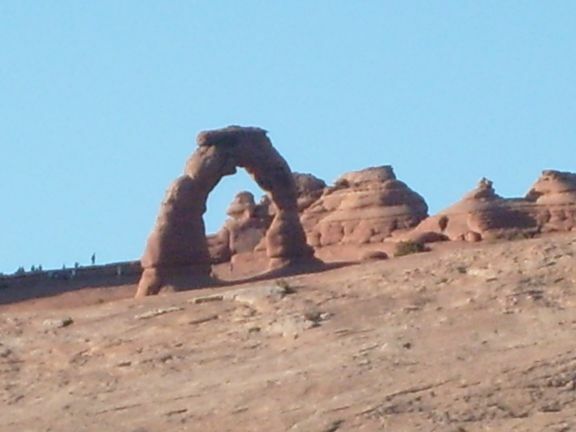 I just could not pass by Moab, UT with not one but two national parks nearby and not stop. That would definitely have been an RVer sin. 🙂 Sooo I found a campground just south of downtown Moab for a week. 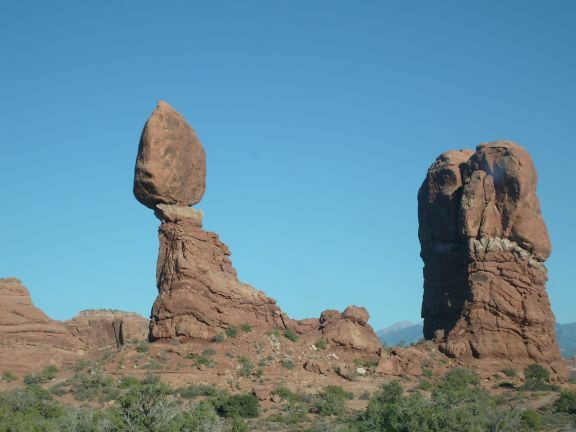 I stayed at Moab Rim Campark. Nothing fancy. No extras. Just a site with full utilities and that is all. Great view though and decent location. Passport America discount was nice. 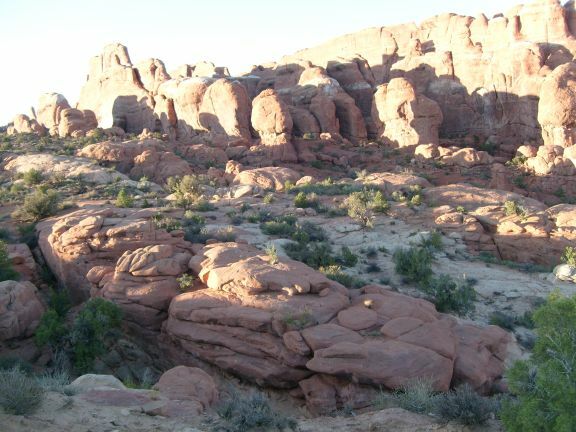 Moab is another active spot for river rafting and ATVing. Don’t expect a lot of trees. It’s red rocks for as far as you can see and beautiful. 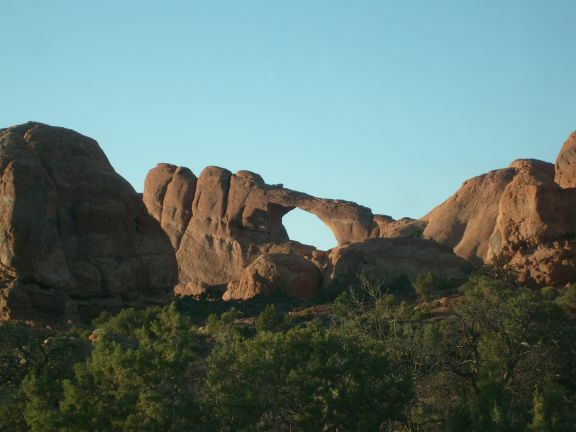 I took a drive over to Arches National Park first. The first thing you learn there is to bring a bottle or two of water as there is none in the park except at the Visitor’s Center. You have no business being in the park without your own water on board. The other thing is to use the bathroom before you go because again bathrooms are in short supply. I suggest wearing hiking boots too if you have them as well as a hat and a walking stick or cane is nice to have. Don’t forget to bring your camera and extra batteries too because photo opportunities abound there. Since the park is huge and you can drive through quite a bit of it, be sure to fill up on gas before going in. There is a campground or two in the park with no utilities which were pretty full. 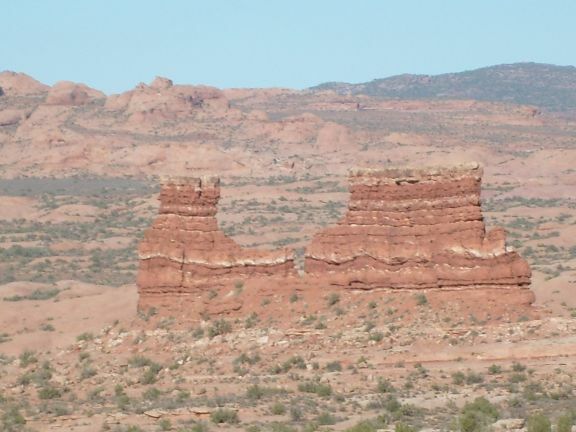 Most of the arches are not visible from the road. You are going to have to get out and walk if you want to see them. 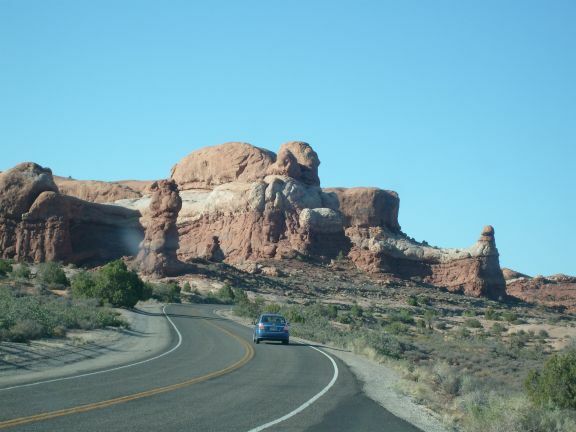 However, there are plenty of other great natural formations to view along the road through the park. Once upon a time, people did try ranching there and mining. That’s all gone now. I did get out and walk a bit. They have some great trails and there were plenty of others on the trail at the same time even though it was very hot out. At one point I had walked too far for me and dearly wished there was a tank of oxygen at the lookout point. I was not alone in that thought. It is easy to get lost in the beauty and push your limits. 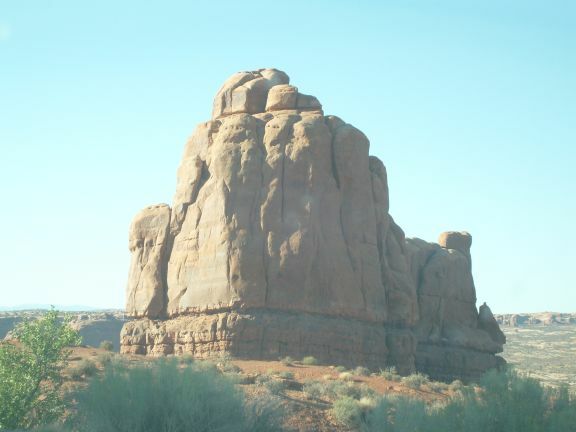 Another day, I went to Canyonlands National Park. 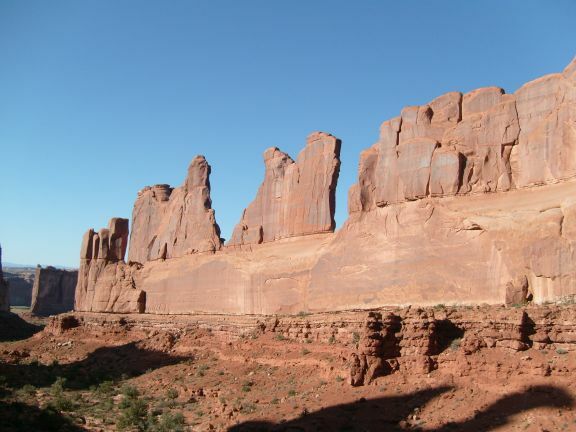 The formations are a bit different than the Arches so don’t skip either. Both drives are fairly easy with lots of turnouts and picnic spots. Again, take plenty of water. One thing I noticed about both parks was the accents of the visitors. There was a little French, a little Japanese, and a whole lot of German.